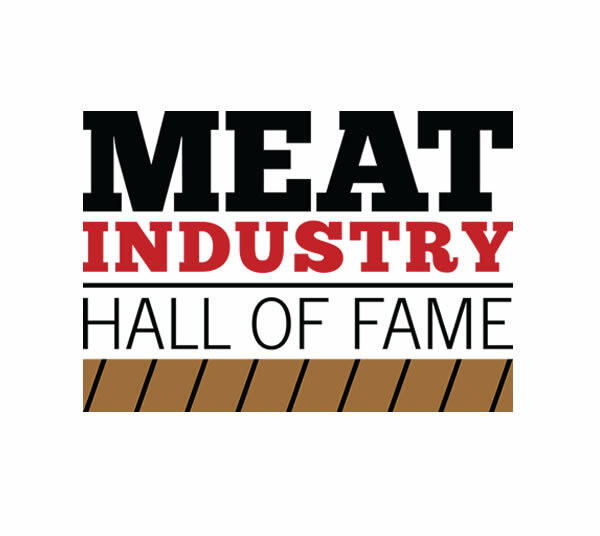 Join meat industry professionals at the 2018 Meat Industry Hall of Fame Induction Ceremony and Dinner scheduled to take place at the Omni Hotel. This year's inductees include Rod Bowling, ag marketing specialist, USDA-AMS; owner, AgriFood Solutions International; Neil Genshaft, CEO, Fresh Mark; Ronald Miniat, chairman of the board, Miniat Holdings; Elsa Murano, director, Borlaug Institute; past president, Texas A&M University; James Riemann, Assistant Secretary, Kansas Dept. of Agriculture (retired); past president, Certified Angus Beef LLC; Mike Satzow, executive vice president, North Country Smokehouse; and Jimmy Wise, meat judging program coordinator, American Meat Science Association (retired); ag marketing specialist, USDA-AMS. The reception will take place at 6:30 p.m. on Monday, Feb. 11, and the dinner and inception ceremony will begin at 7:30 p.m. For information, contact Chris Luke at lukec@bnpmedia.com or via phone at (908)917-4171 or Katie Johnson at johnsonk@bnpmedia.com or via phone at (847) 405-4060. IPPE will offer cutting and cooking demonstrations featuring Shaun O'Neale, Season 7 champion of MasterChef on FOX, preparing chicken and turkey products. The demonstrations will be held in Booth B8635, and attendees are encouraged to stop by to experience the activities. IPPE is offering short educational presentations by exhibitors regarding operations and technical issues critical to all aspects of the feed, meat and poultry industries. IPPE is inviting attendees to prepare their version of the "Ultimate Protein Omelet" with a variety of protein and vegetables at their disposal. 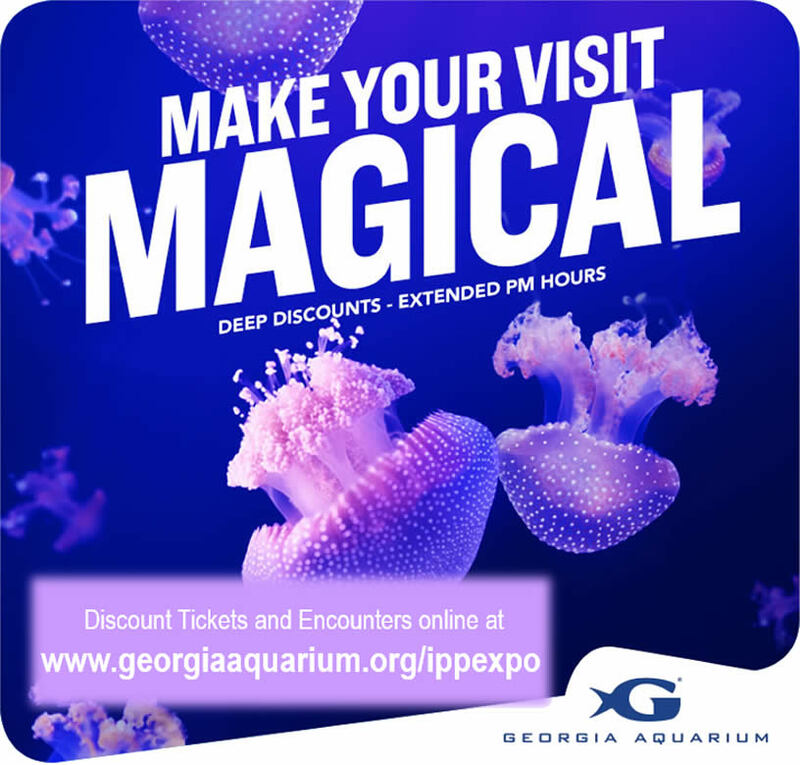 Shaun O'Neale, Season 7 champion of MasterChef on FOX, will decide who has the "Ultimate Protein Omelet," and the winner will be announced at 4 p.m.
Join attendees and exhibitors at the annual Welcoming Reception, held at the world's largest aquarium. There is no charge. However, due to space limitations, you must pick up a sticker at the Reception Kiosk in the B-Building and C-Building lobby to attend. IPPE is offering short educational presentations by exhibitors regarding operations and technical issues critical to all aspects of the meat, poultry and feed industries. IPPE will offer cutting and cooking demonstrations featuring nationally and locally recognized chefs preparing beef products. The demonstrations will be held in Booth B8635, and attendees are encouraged to stop by to experience the activities. IPPE is bringing together a group of highly competitive Atlanta chefs who will be preparing their favorite recipes featuring beef, pork and poultry. Try as many samples as possible and cast your vote for the "Taste of IPPE." Ballots will be available at the stations, and the winner will be announced at 4 p.m. Participating restaurants include: Pitty Pat's Porch, Hard Rock Café, White Oak Kitchen & Cocktails, Max Lagers Brewery, Ruth's Chris Steakhouse, Ted's Montana Grill, American Cut Steakhouse, City Winery, Almafi Pizza, Twin Smokers, Alma Cocina, No Mas! Cantina, Mary Mac's Tea Room, Restaurant Eugene, The Southern Gentleman, Chama Gaucha, Fogo de Chao, Murphy's Restaurant, Smoke Ring, Fox Brothers BBQ, and Tiny Lou's. $17 Premium Level group ticket for either February 13th or February 15th game at 7:35 p.m. The Atlanta Gladiators play at the Infinite Energy Arena – Parking is Free. Hawks vs. New York Knicks - Thursday, February 14th at 7:30 p.m.
Our goal is to include humor and movement in every piece. Using a propane torch, we heat, pull and shape clear, hollow tubes of laboratory glass. 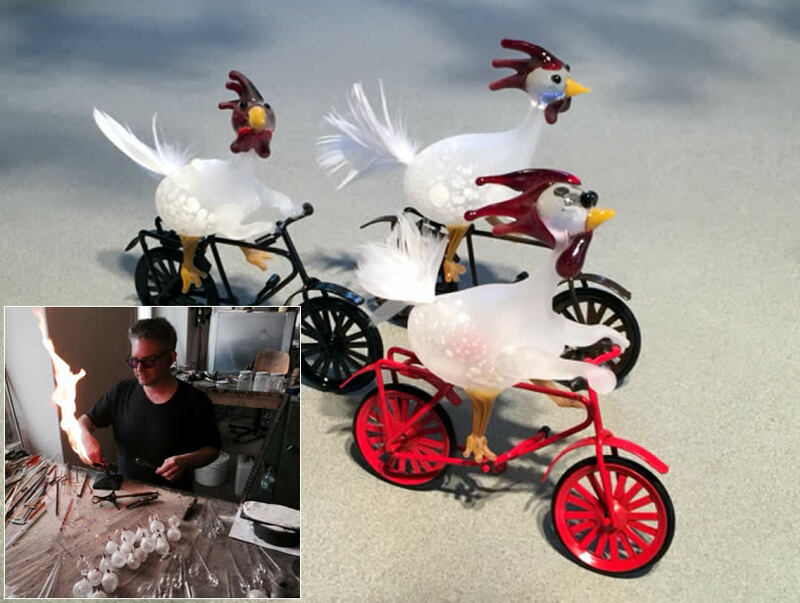 During the process, we use oxides, splinter glass and even a sandblaster to add color to the glass. Each piece is truly unique...or...as we like to say..."each piece has its own personality".